During or 3 years of doing business in the small picturesque town of Helen, GA. We have met several other business owners in our town. Having many conversations we soon learned that we all had common vision of an association for business leaders to get together and exchange ideas. The goal was to promote business in Helen. Therefore securing our financial futures. It wasnt until our good buddy Cliff Steinkraus came along that anybody really had the time to make it all happen. After hearing the concerns of the local businesses Cliff jumped into action. With a lot of time and hard work he has brought us together forming the non-profit business known as the ABLH. (Association of Business Leaders of Helen) Officials were elected and we were off and running. Mikey Slater was elected a board member and Lil D an Events Board member. Making the ABLH something dear to our hearts. The ABLH meets twice a month at the Helendorf Hotel http://www.helendorf.com who we would like to thank. The next meeting is June 24th at 5pm in the upstairs conference room. Mikey Slater donated his time and energy to come up with a logo for the association. The ABLH determined they wanted something that told a story, was unique and hand painted. He hashed out some ideas with the director and went at it. Below is what he came up with. The association voted it approved and decided to make t-shirts out of the design. 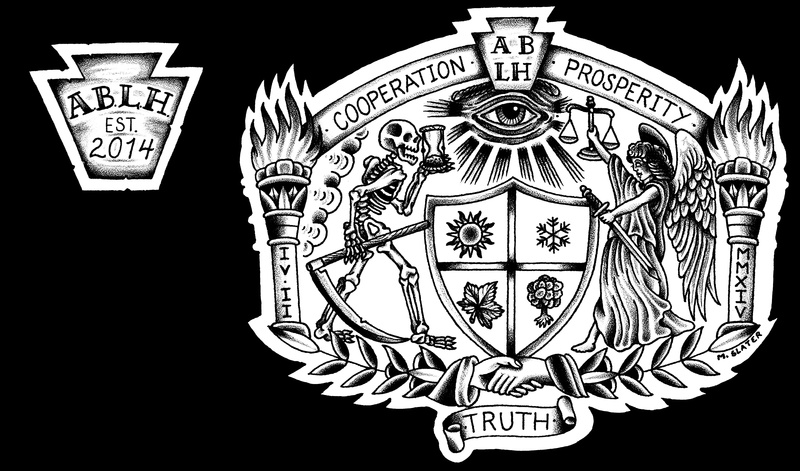 We are super excited to have the artwork come out of 1920 Tattoo. Being members we feel that its very important to be involved. As an association we decided to produce family friendly events to fill gaps in and around the city to promote business and tourism in Helen as well as White County. Check out our website http://www.ablh.org to learn more about our vision and overall mission. 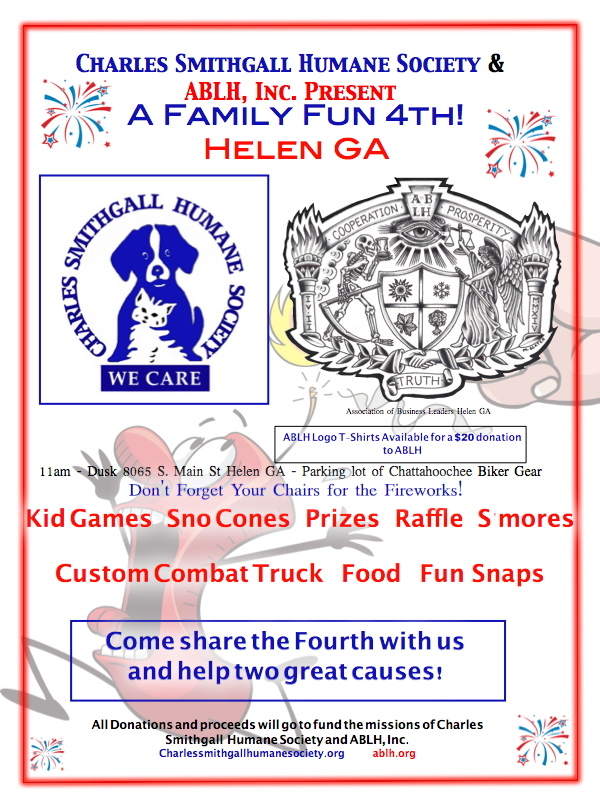 Our first event to date will be our 4th of July celebration. We teamed up with Charles Smithgall Humane Society. Which happens to be a non-kill shelter. To hold a family fun event for all to enjoy! All the event information is on the flyer just click on the picture below. 1920 Tattoo is super proud to be involved. The 4th event is located in our parking so we hope to see y’all there. Bring your friends and family and help support to local non-profit organizations hoping to make a difference by supporting a positive way of life. And remember “Stay Classy Y’all”!